An area known to be the second home for many of Australia’s wealthiest identities. Main Beach is an oceanside suburb with a relaxed community atmosphere. It is not uncommon to bump into your neighbor at a café or when walking along the beach. Main Beach is surrounded by water – the Broadwater in the north, the Nerang River to the south and the Ocean to the east. The suburb acquired its name from historically being the main surf beach for Southport but development did not start until around 1934, the year the iconic Main Beach Bathing Pavilion was built. This quaint Spanish Mission-style building is still used today by the local surf club although it is dwarfed by the many highrise towers nearby. Main Beach is known to be a second home for many of Australia’s wealthy identities. Its desirability means the demand for Main Beach real estate generally outweighs supply, keeping prices high. Apartment towers are not permitted on the Broadwater side of the suburb, and as such this area is generally comprised of older homes, many of which are now being redeveloped into upmarket duplex villas or modern mansions. 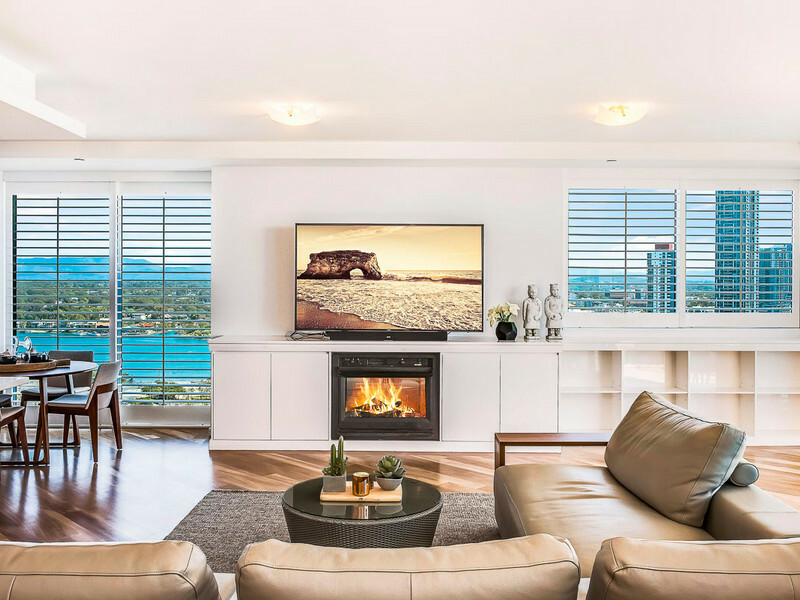 The heart of Main Beach is Tedder Avenue, a pretty tree-lined street fringed by stylish cafes and some of the Gold Coast’s best restaurants and bars, popular with locals and socialites who believe the suburb is the place to see and be seen. Between Tedder Avenue and the beach is virtually a forest of apartment towers interspersed by smaller unit blocks and villas. Further north but still within walking distance is Marina Mirage, an exclusive shopping centre that combines luxury retail with excellent restaurants and links to the beachfront Sheraton Mirage hotel and 6-star Palazzo Versace hotel. This area is a long finger of land between the Broadwater and ocean known as The Spit. It’s an ideal spot for a lazy day in the sun, offering calm-water beaches, good fishing and easy mooring for boats. It’s also home to the iconic Sea World theme park and hotel. The ocean beach is popular with boardriders who enjoy the open shore breaks. 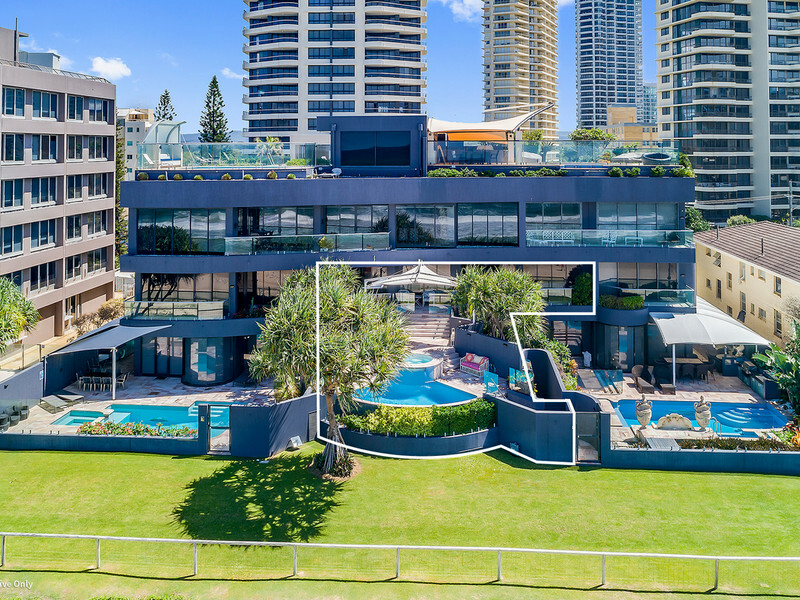 This largely unspoilt area is only a suburb removed from Surfers Paradise and the business hub of Southport and is conveniently linked to Broadbeach via the new light rail service. 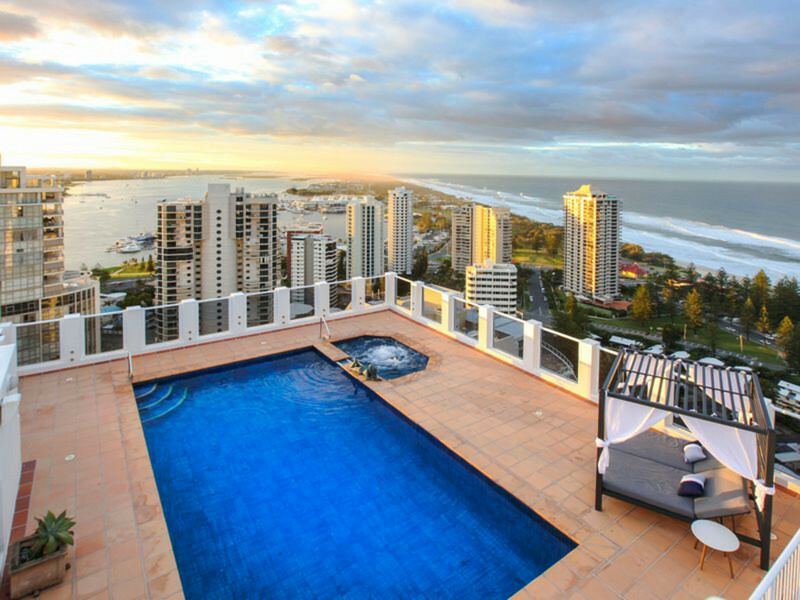 Main Beach real estate is largely comprised of highrise apartments, including some of the Gold Coast’s most luxurious residential towers. It is without doubt the ‘glamour’ suburb of the Gold Coast.